The Government’s Work, Heath and Disability Consultation closes at the end of this week. The Haemophilia Society has been working on a response to the series of consultation questions but would like further input from members on issues to raise or specific situations to highlight. Overall, we are pleased that the Government has conducted this consultation and welcome the commitment to substantially reduce the disabled unemployment rate. We support the principle laid out in the ministerial foreword that the system should provide “work for all those who can, help for those who could and care for those who can’t”. If you have any comments for inclusion please email [email protected], comment on Facebook or include your comments below this article. Support needs to be provided to those that need it. For some people that will be through the WRAG (Work-related Activity Group), for others that will be through the support group. We do not believe that people in the support group should have any additional conditionality for their ESA support. We would also seek explicit acceptance that there are people unable to work and for whom work would not be a good health outcome. What experience do you have of decisions on eligibility for ESA? Have you been found fit to work inappropriately or too soon? Firstly the level of financial support received needs to be sufficient to allow people to either live comfortably or in case of those in the WRAG group effectively engage in back to work activities. We oppose the cut to the support rates for the WRAG group. 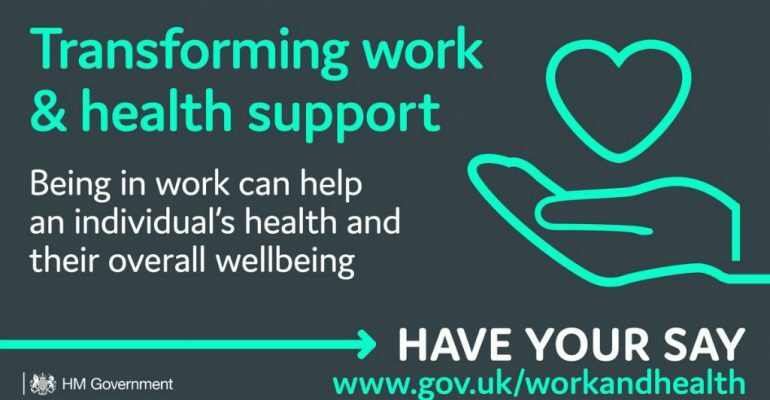 Individuals who are in work may also need better support staying in work. What support, both financial and non-financial do you need to live comfortably, get back into work or stay in work as appropriate? A successful help to work scheme needs to be appropriately resourced with sufficient well qualified work coaches. We are concerned that there will not be sufficient funding for work coaches and question the appropriateness of providing back-to-work support in job centres for some individuals. There must be a mutual agreement on how this support is undertaken. Do you have any views on what back to work activity you would most benefit from? How often and for how long would you want to meet a work coach? What other support would you want to help you get back to work? Employers needs to create the appropriate work environment to allow disabled people to remain in work or return to work. This could be through adaptations to the work environment or flexibility around working hours. Many disabled people would benefit from a phased return to work. What changes from employers would help you stay in work or make it easier or more likely that you could return to work? The Work Capability Assessment needs to consider the needs of disabled people and assess their fitness to work with understanding and sensitivity. The Appeals process is overused, stressful and can make inappropriate judgements. What experiences have you had applying for ESA or appealing decisions that you think need highlighting to the DWP? There would be benefits to applicants and support recipients from better sharing of information between the DWP, the DH and local authorities. Also needs could also be better linked to housing and transport decisions. What benefits do you see from better data sharing in Government? What concerns do you have? You can also respond to the consultation as an individual, health and care professional or an employer which we would encourage any members and supporters to do. You can respond to any number of questions, as you feel appropriate.